I Don’t want to say its yet another unique love story. I dont even want to say its different. But its definitely a love story! Just like the ways I have loved writing every sentence of it, I only aspire you love reading each line of it. Like every other I had numerous inspirations. I show gratitude to them all and well, to myself too. After all, life is what we all witness and experience every day. Let’s get this started. 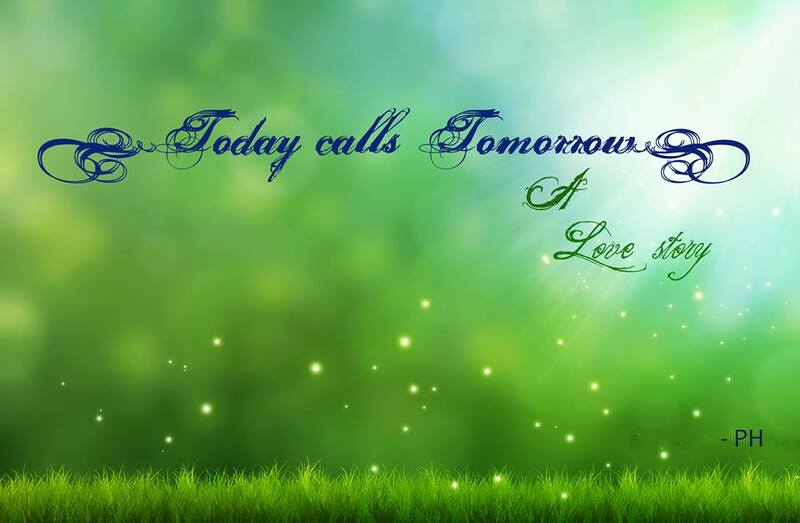 calling with love, a tomorrow! Every today calls a better tomorrow. If we were happy today, we go with hopes for a happier tomorrow. If we were sad, we have a tomorrow where we stand stronger than today. between today and tomorrow, tailored is this simple love story. Or in short, pretty much to say, I just needed a title. Or Find the Index Below! Hey PH – I am going to try and read your novel in a couple of months – I have a list to get through first – but I look forward to it – and thanks again for the VB award dude – have a good day and congrats on your first novel!! well I I will move it up on my list now that I hear it is not too long. between today and tomorrow, tailored is this simple love story. I have read most of your posts on this topic.. Thank you so much.. 🙂 Love, More! You made me commentless now. You have a good heart, keep sharing the joy of love. Thanks for reading me….